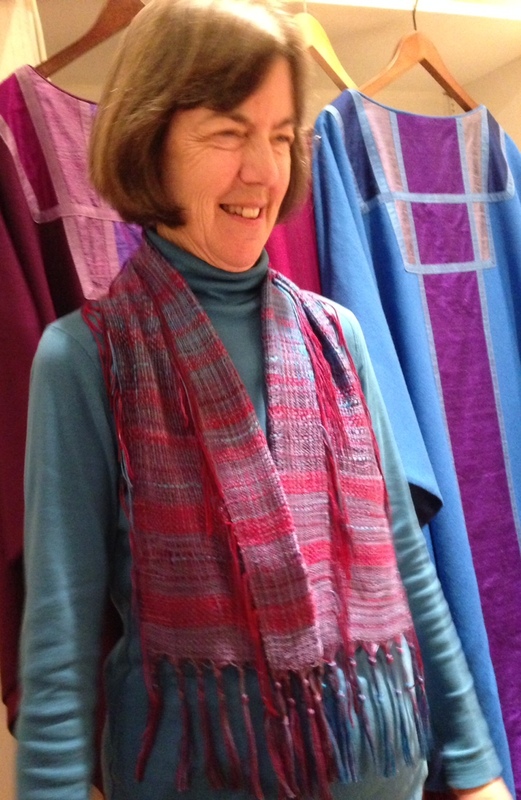 Joan Ferguson wearing a scarf she made from fiber dyed at the Theresa Rusch workshop in 2014. 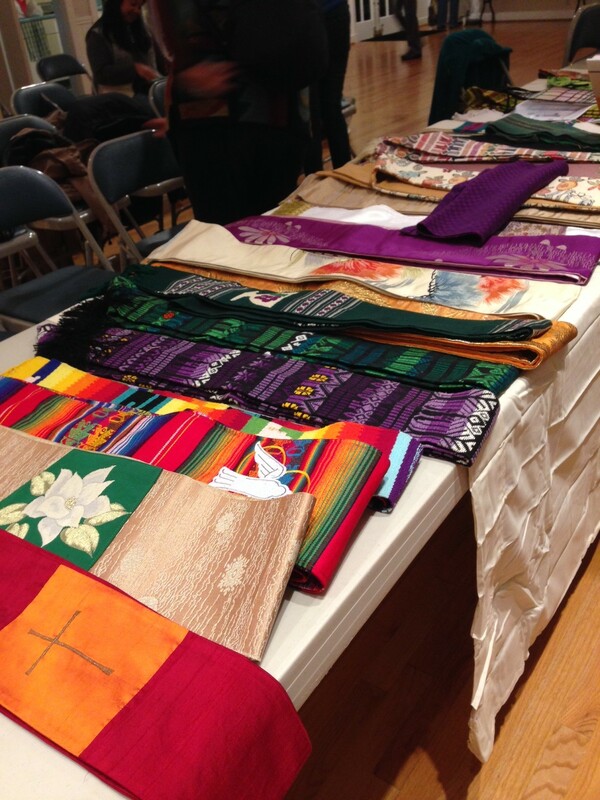 She is standing in front of chasubles brought in by the pastor of her church to show examples related to the Weaving for Worship program Feb. 19, 2015. Assorted stoles used as examples during the program. A portion of a large wall hanging by Gloria Miller.